Simeon Visser is a London-based software developer. He has a bachelor's degree in computer science and a master's degree in agent technology (artificial intelligence). His graduation project was published in two major conferences (AAMAS 2011 and IJCAI 2011). This research was mostly done in the lovely city of Melbourne, Australia. He regularly helps others with technical questions at Stack Overflow and he is a long-term contributor to Wikipedia. His open source contributions can be found at GitHub and Bitbucket. He has also solved over seventy problems on Project Euler. Previously he worked on online media projects at Lukkien in the Netherlands. 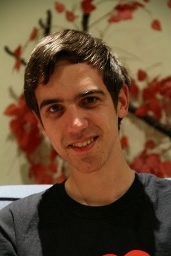 After that he moved to London and started improving backend systems at Rangespan which was sold to Google in May 2014. He has worked, studied and lived in multiple countries with people from all kinds of backgrounds, professions and world views. This website is a collection of blog posts, tutorials and other writings. For the latest updates see simeonvisser on Twitter.